Uriyah, 2 years old. 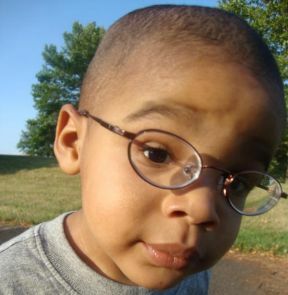 He wears glasses for severe nearsightedness and nystagmus. His glasses are Aspex Easy Twist.